This is the card I made that inspired the whole theme of the class I taught this week at Paper Flourish. I loved the mix of white and soft sea green. I have used a Stampin Up embossing folder, Paper Rose nested stitched dies,and the sentiment is a Dusty Attic chipboard piece which I foiled in the Go Press and Foil machine. 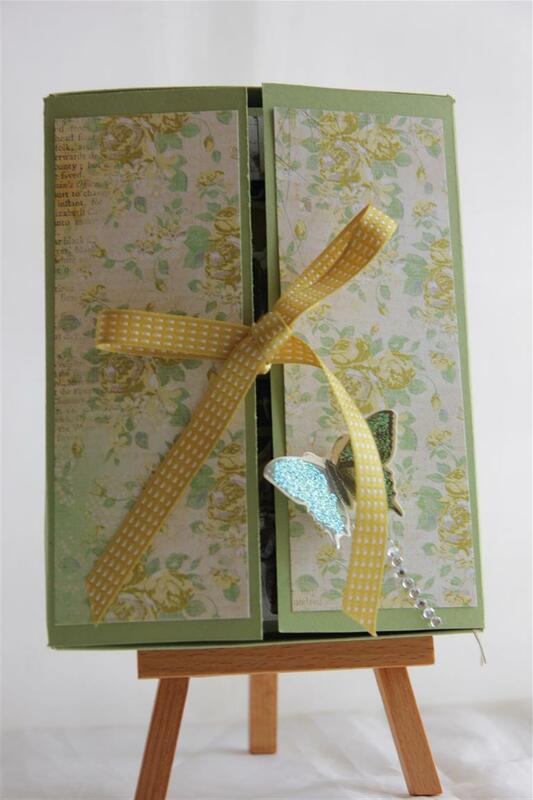 The green foilage is a Memory box die, and all the flowers are from I am Roses. I must fly now as we are off to a garden wedding, hope the weather stays dry! Til tomorrow….. I found another Oval themed card…. While browsing through my files deciding what to post today, I found a couple more oval themed cards.Here they are! 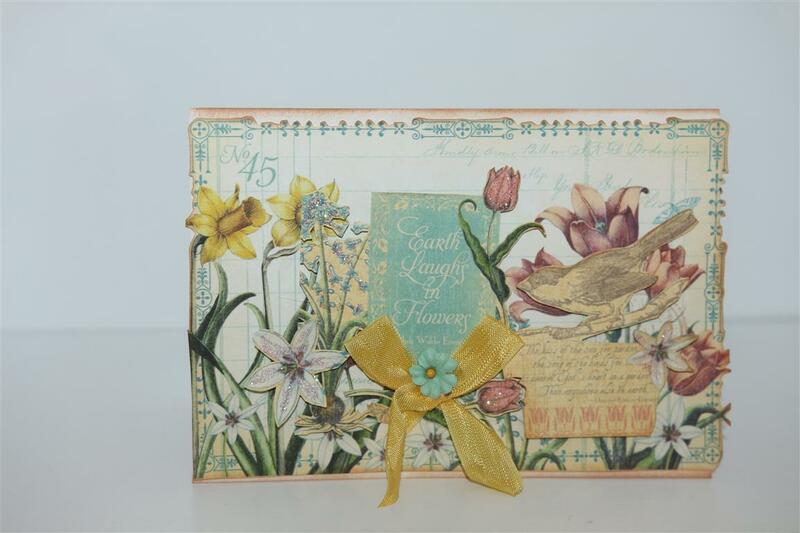 The papers are Miss Nelly by Kaisercraft – I have done a few cards with this paper recently because I wanted to use it up to make room for some new purchases. I forgot how pretty it is. 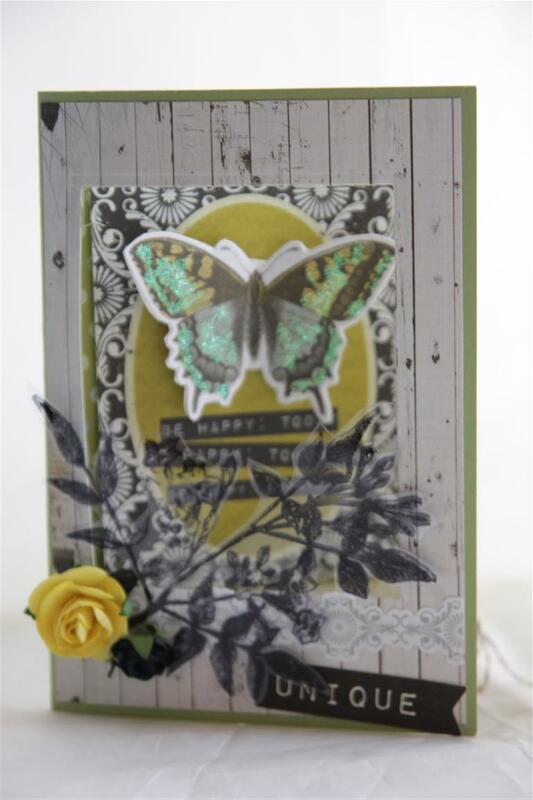 anyway, The ovals are embossed using Stampin Up designer frames oval embossing folder and I fussy cut around them, Martha stewart butterfly punch, memory box la Rue flourish,assorted stampin up sentiment stamps, and flowers and ribbons to finish. Shopping tonight, so no crafting for me, til tomorrow….